Home » Music News » Adele calls Beyonce Knowles 'Jesus f*cking Christ'. This is how Twitter reacted! Lakhon dilon ke dhadkan -- Adele, during her recent concert in Denmark, took a moment to acknowledge the great talent that Beyonce Knowles is. The Hello hitmaker was performing at the Forum in Copenhagen, Denmark, on Tuesday when she stopped mid-performance to give a shout-out to Queen Bey. "Are there any Beyoncé fans here tonight? How is it even possible that she only ever gets better? She is Jesus f*cking Christ. Beyoncé is the sickest artist around in the whole entire world. It's unbelievable. I've been listening to her for 17 years, and she's still making music that blows my mind." @Adele you praised beyonce anti-police rhetoric? Sad..really really pathetic. You lost some fans. 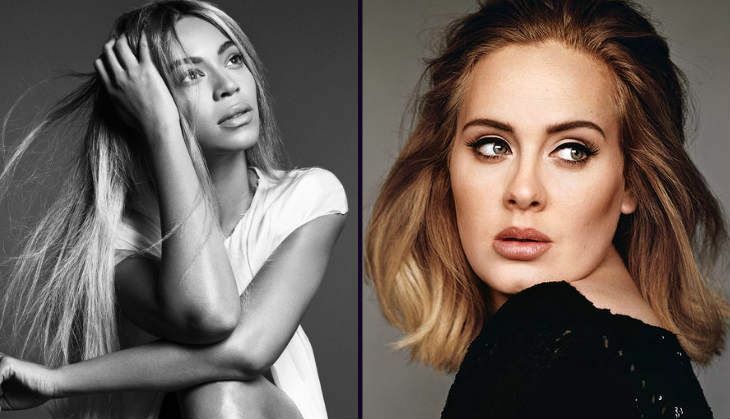 @Adele upset to learn your views on Beyonce. I thought all that packaging doesn't work on talented people in the industry.